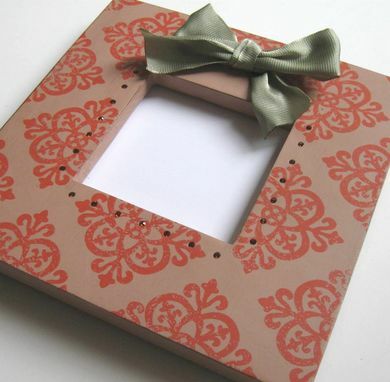 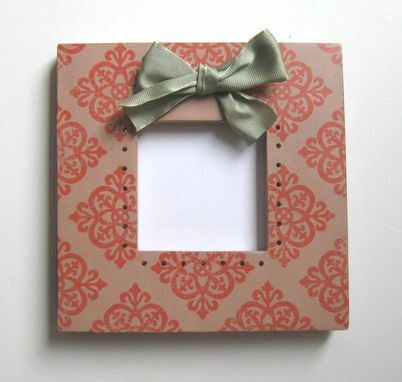 This fun little shabby chic photo frame has been stenciled with a peach shade of orange over a light peach background. 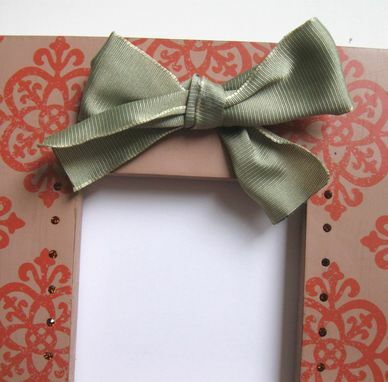 It has been embellished with a light green ribbon and tiny orange rhinestones. 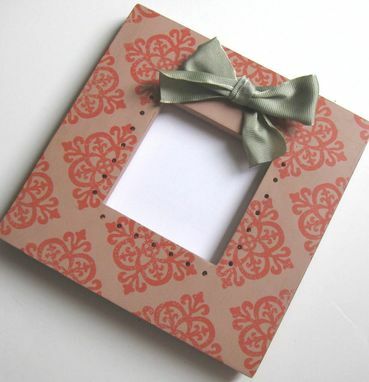 The frame measures approximately 8"x 8" with an opening of 3"x 3" and comes with a back easel and glass. 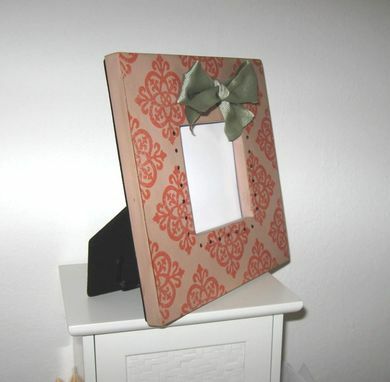 What a great accessory to a shabby chic or country french decor and always a unique gift.